Blame game continues so the life loss of many innocents on both sides of border. Indian defense ministry has blamed Pakistani forces for violating ceasefire along Line of Control (LoC) in Poonch district of Kashmir. The ministry spokesperson said in a statement on Saturday, at least one soldier has been injured as Pakistani troops targeted forward posts around 07:45 am. However reliable sources in Pakistan military claim no such incident has taken place and that Indian allegation is totally baseless. 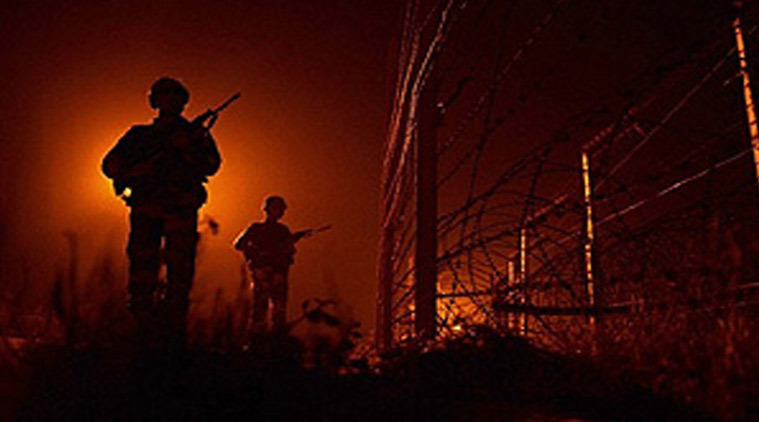 Instead India has been violating ceasefire along LoC and Sialkot Working Boundary which claimed as many as twenty Pakistani civilians in recent weeks, they said. Meanwhile Pakistan’s Permanent envoy to United Nations Maliha Lodha has asked the UN Security Council to take notice of unprovoked Indian aggression along Line of Control (LoC). In a letter, Lodhi requested the United Nations to play its role in putting an end to Indian ceasefire violations that has so far killed 20 Pakistani citizens and injured 100 others in cross border shelling and firing. She alleged the Indian forces have been violating the 2003’s ceasefire agreement between both countries. She further added the UN Military Observer Group for Pakistan and India should hold a probe into the matter especially in which civilian Pakistanis were killed in Indian shelling. The violation of ceasefire agreement has increased in August during which 20 people were killed and more than 100 injured in unprovoked firing, she maintained. What in return we get on both sides is loss of human lives who have no choice, either leave the place or live their risking their lives. People on both sides of border suffer most as compared to other citizens. They demand national and international forums to take this under considerations; so that the citizens of both countries living on LoC live freely without fear of being shot one day.